Available for $795 + $160 per year, TaiRox Copy Company will copy an existing company's structure without copying transactional data, flawlessly performing many hours of manual manipulation with one push of a button. Copy general ledger accounts and optionally copy customers, vendors, inventory items, employees recurring entries and financial and operational setup options. 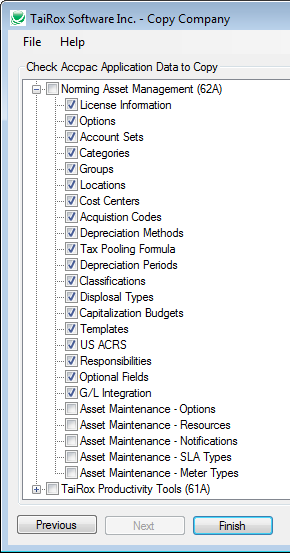 Audit Logger & Third Party programs - please see release notes. 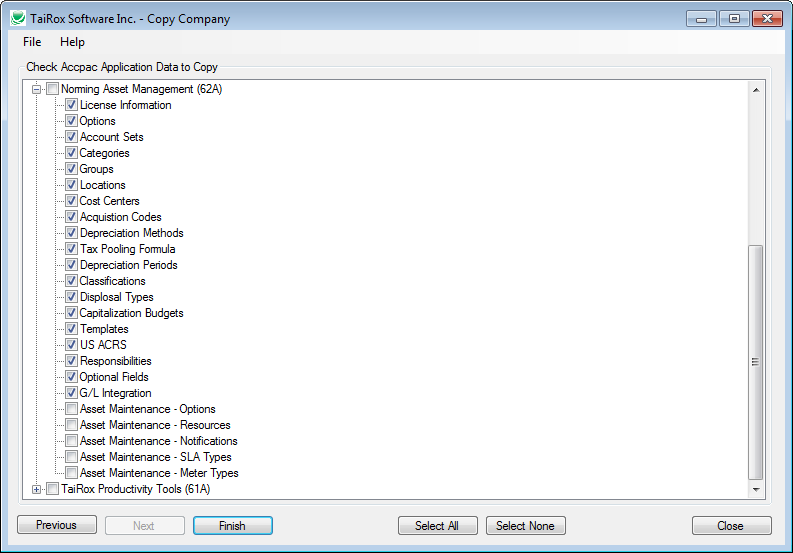 • Use any existing Sage 300 company as a template to create new companies without dozens of export and import operations. 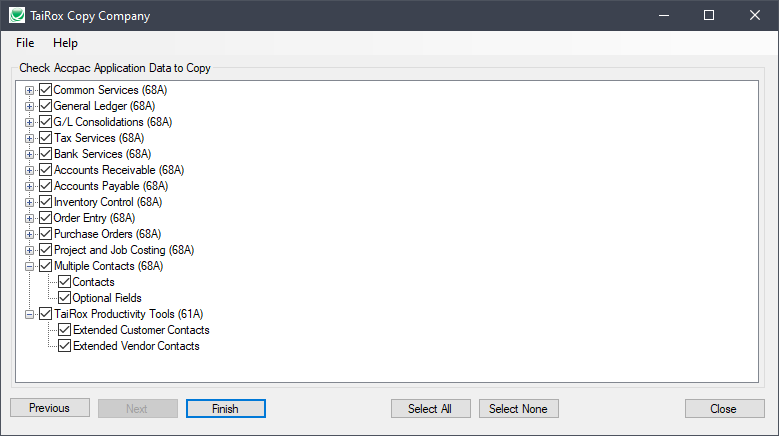 • Copies setup options that cannot be exported or imported. • The structure is copied, but not the transactions. 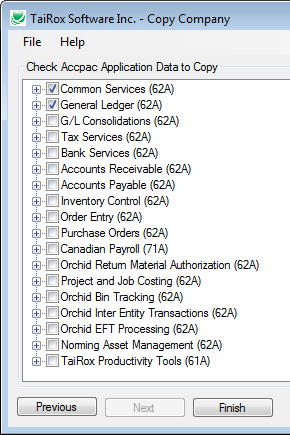 Copy just the General Ledger - or select additional application modules to be included in the copy. • This product uses Sage 300 business objects to insure that a valid database is being created. • Note that on some older versions of Sage 300, Copy Company requires 2 Lanpaks, as it accesses 2 companies during its operation.